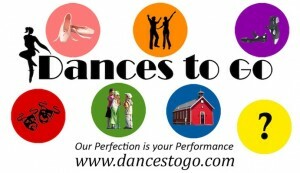 As before, Frances is offering a $25 gift certificate to THREE Dance Advantage readers. On this, the Dances To Go encore giveaway, there’s more! 3 Christmas dance routines, choreographed by yours truly. 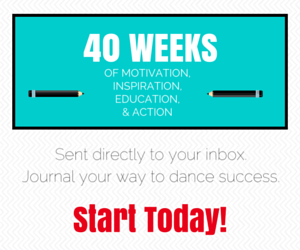 Leave a comment at this post, answering the question: What is your signature move when you choreograph? Grosh would like to give away a backdrop rental (winner’s choice) valued up to $500 to ONE Dance Advantage reader. Just place a comment at this post, answering the question: If you were to win, which theme or specific Grosh backdrop would make your performance or event a success? Deborah Vogel of The Body Series would like to give away the Essential Anatomy Multimedia Course to ONE lucky Dance Advantage reader. Place a comment at this post, answering the question: What is the dance correction, statement, or “teacher-ism” you would most like explained anatomically? 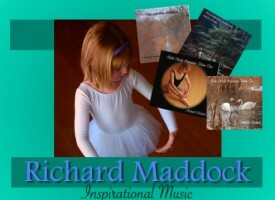 Richard Maddock wants to give away one Music for Movement and Imaginations CD to THREE Dance Advantage readers. Leave a comment at this post describing the characteristics of, or what you look for in your favorite CDs for dance class. KineticFlix.com would like to provide a $50 gift certificate to TWO Dance Advantage readers. Leave a comment at this post, answering the question: What would be the first title you’d rent if you had a membership? Terrence “Taps” wants to giveaway one of his Portable Tap Floors to a Dance Advantage reader. Leave a comment at this post, answering the question: Why would YOU like to own a tap floor from PortableTapFloors.com?